A blog is a cost effective, yet efficient marketing tool that can attract more traffic into your website. At Adroitte, we offer blog development services that will help you take your business into the next level. What Makes Our Blog Development Service Different? At Adroitte, we know that blogging matters a lot to your business and a blog can represent your company in a positive light. So we design blogs that are custom designed to match your specific blogging needs. Besides creating blogs, we also offer maintenance and blog integrations services. 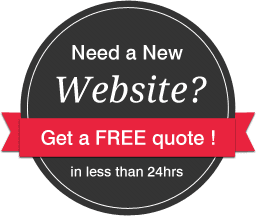 We can also provide you with custom Joomla, Drupal and HTML designs. Once the blog is built, they create appropriate title and description which includes search engine targeted keywords within the blog. Blending creativity and technology, we strive to offer you the best possible blog development services that will drive more traffic into your website.